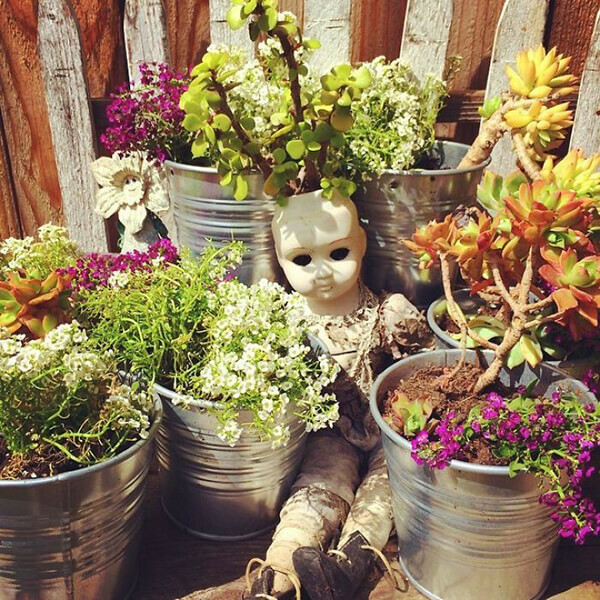 The weather finally gets warmer up north and it is prefect time to get our hands dirty and do some gardening. 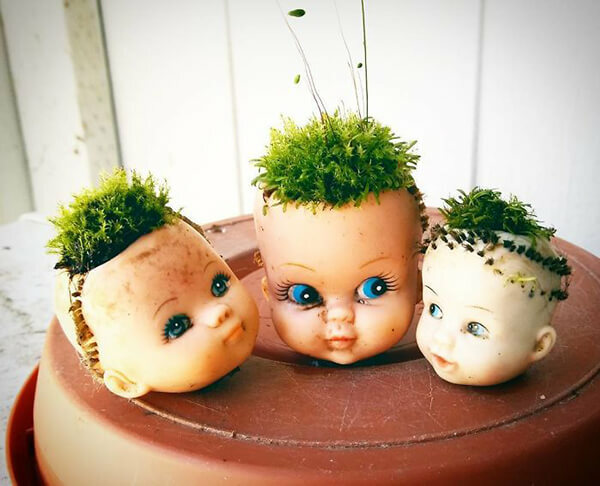 No matter you want to refresh your backyard or add some living decoration on your window sill, planter is a good help. 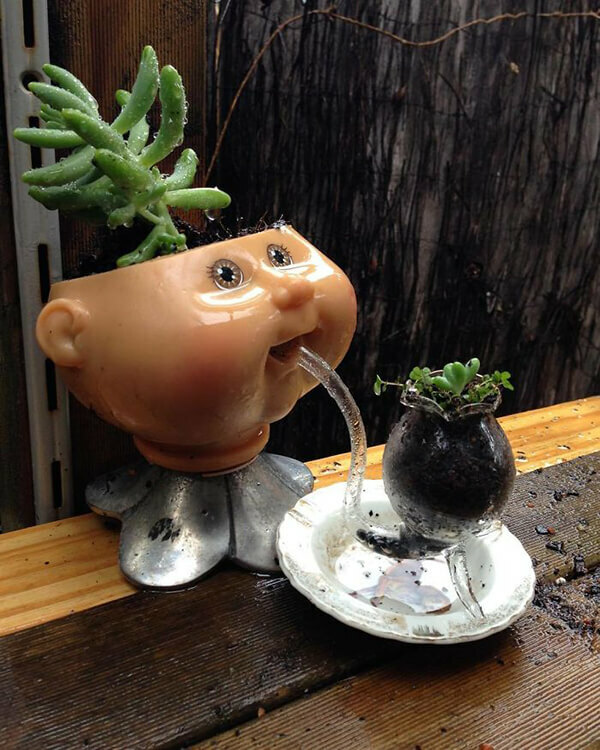 However, planter doesn’t need to look boring, and you don’t even need to spend money on it. 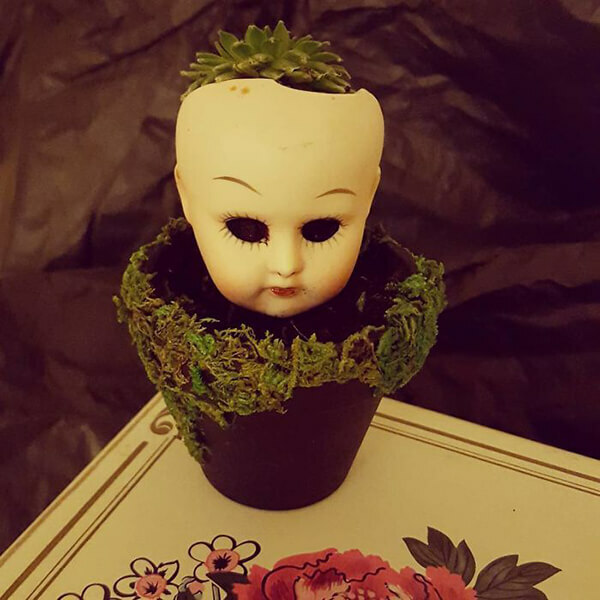 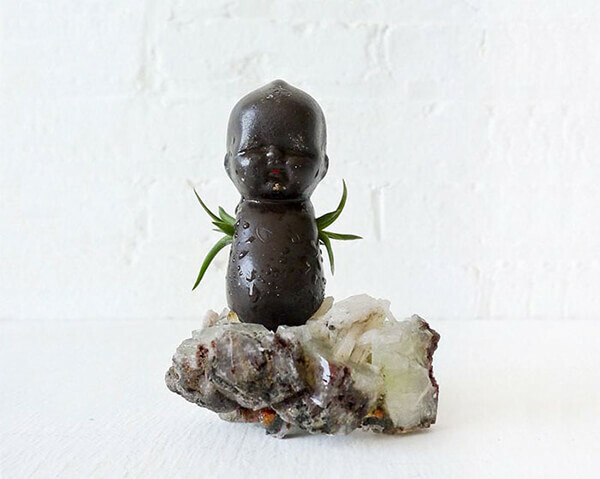 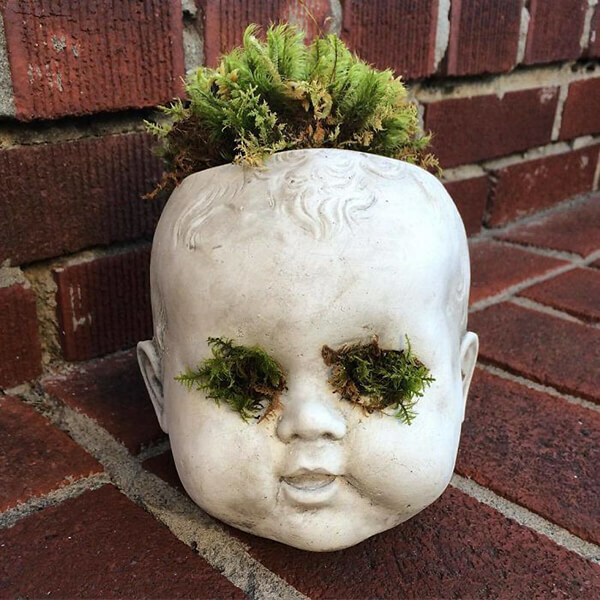 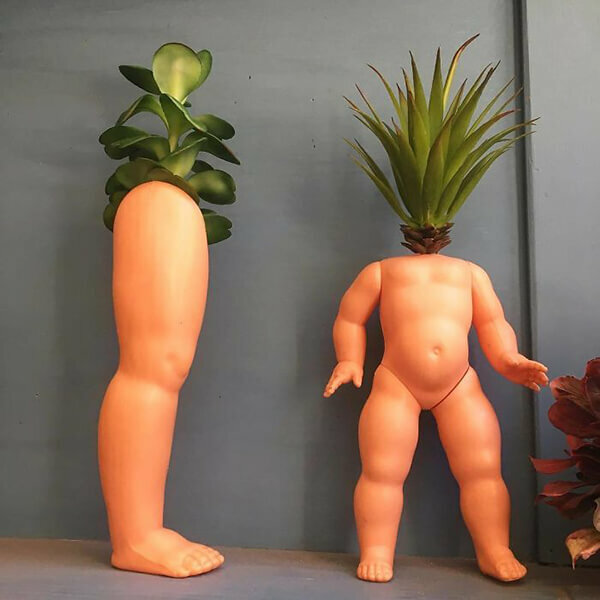 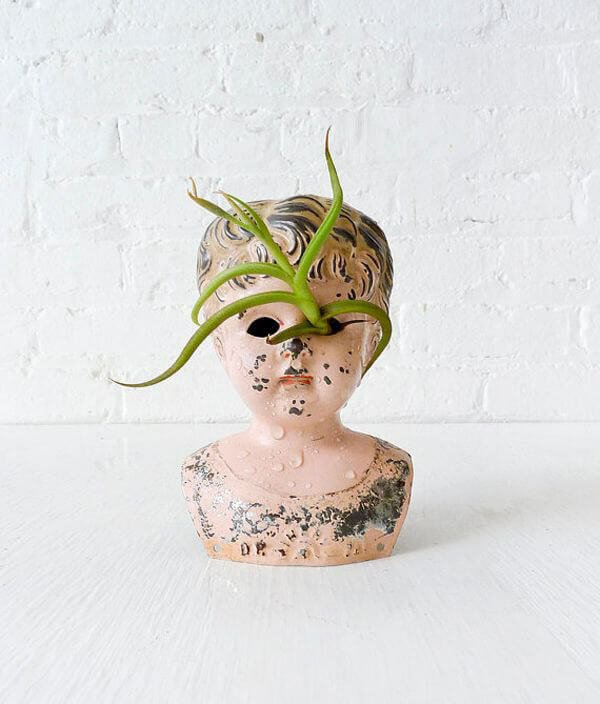 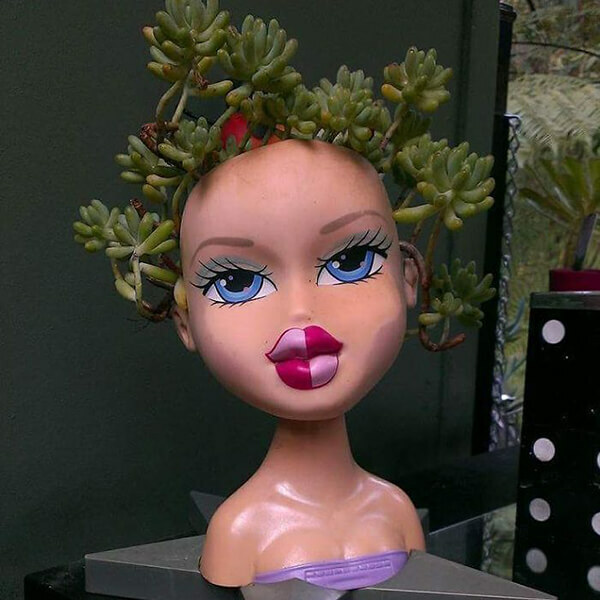 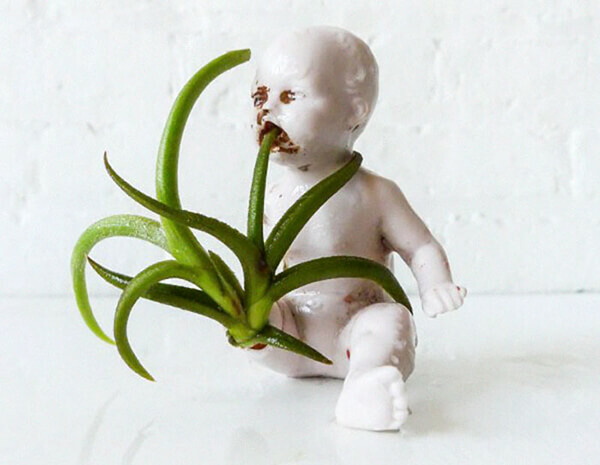 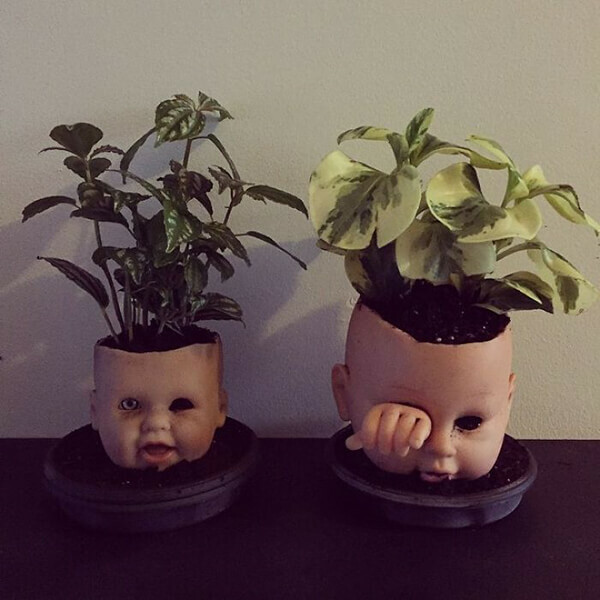 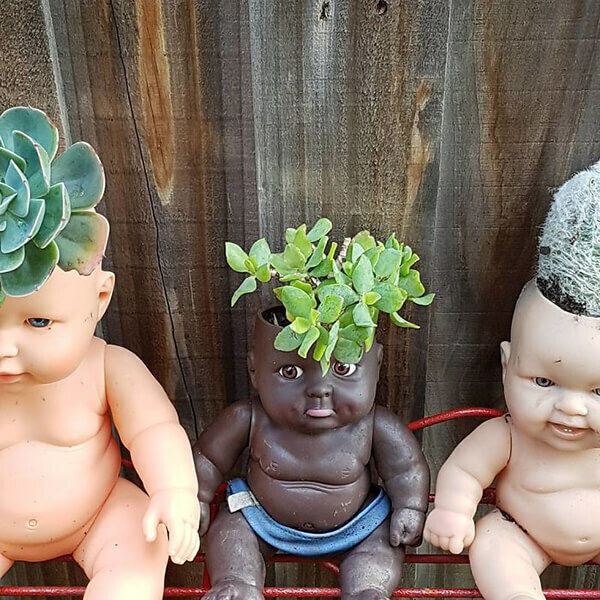 If you happen to have some old dolls from your daughter or yourself and don’t need them any more, they can actually be turned into the most macabre, creative plant pots. 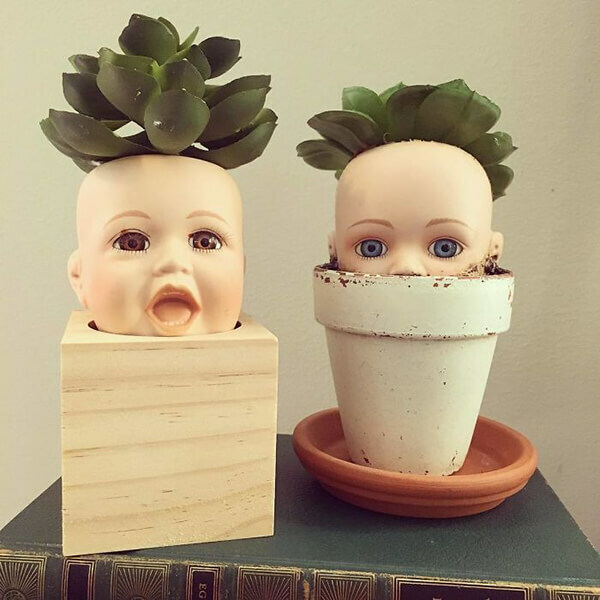 There are many cute excution of those doll planters. 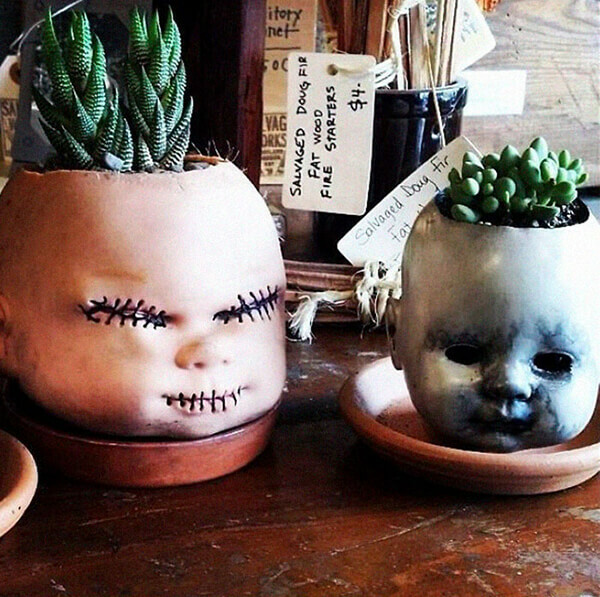 However, what presented here are definitely among those creepiest ones. 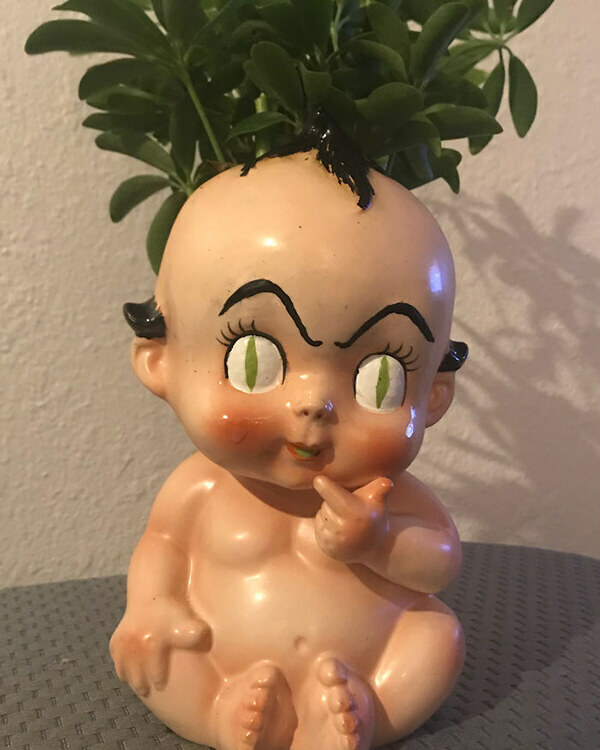 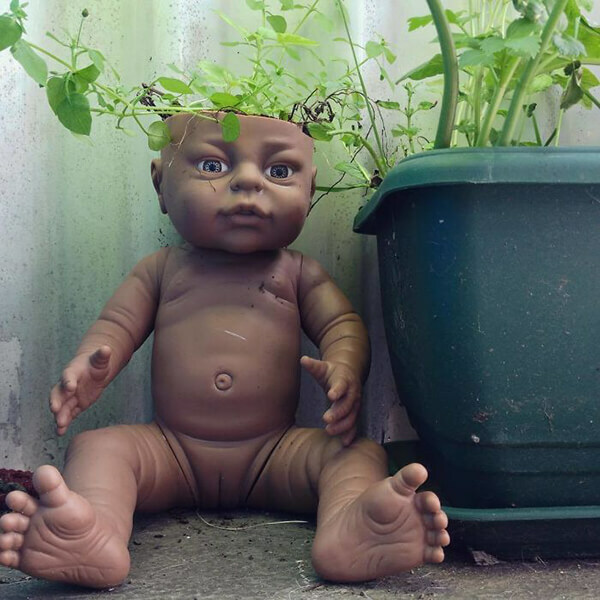 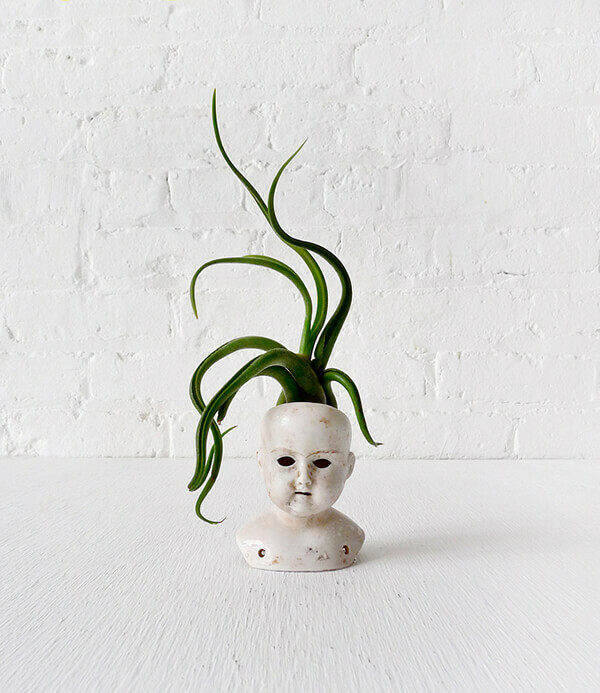 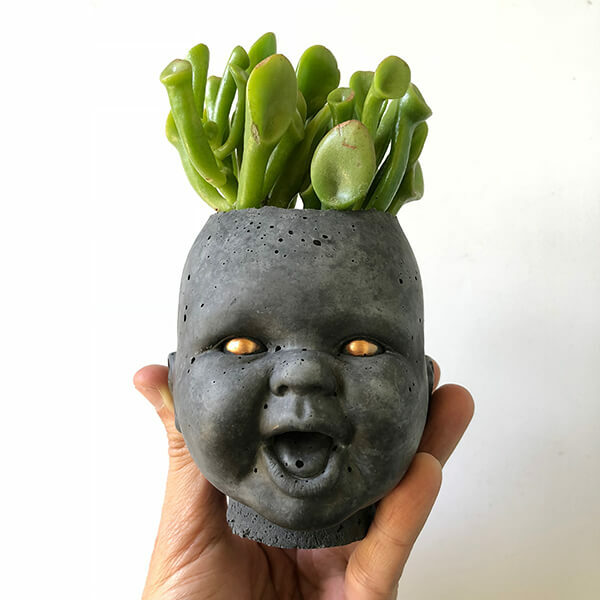 If you want to scare away some annoying kids or spook your neighours out, these scary doll planter is for sure a good option. 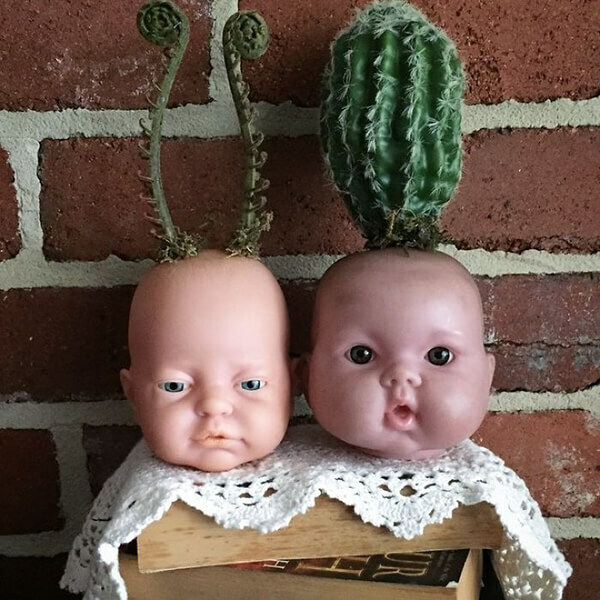 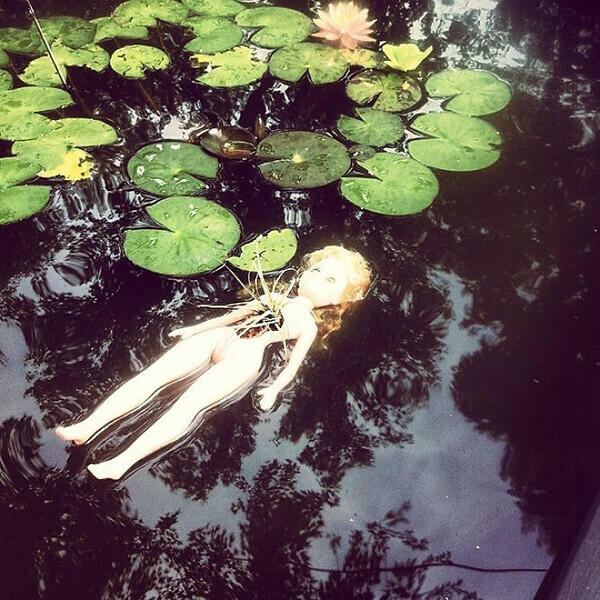 Just scroll down for some inspiration and don’t forget to share with us your wild/creepy creation.